This course aims to convey a knowledge of advanced concepts of circuit design for digital VLSI components in state of the art MOS technologies. Emphasis is on the circuit design, optimization, and layout of either very high speed, high density or low power circuits for use in applications such as microprocessors, signal and multimedia processors, memory and periphery. Special attention will devoted to the most important challenges facing digital circuit designers today and in the coming decade, being the impact of scaling, deep submicron effects, interconnect, signal integrity, power distribution and consumption, and timing. Prof. Nikolic received the Dipl. Ing. and M.Sc. 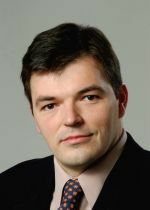 in Electrical Engineering from the University of Belgrade, Serbia, in 1992 and 1994, respectively, and the Ph.D. degree in Electrical and Computer Engineering from the University of California, Davis, in 1999. He joined the EECS faculty at U.C. Berkeley in 1999. His research interests include digital integrated circuits and VLSI implementation of communications and signal processing systems.